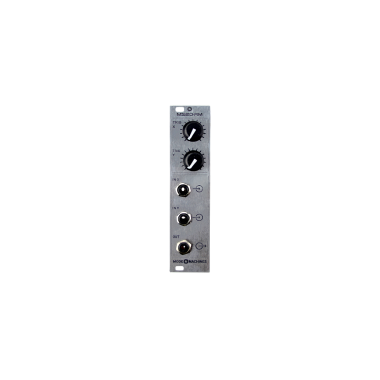 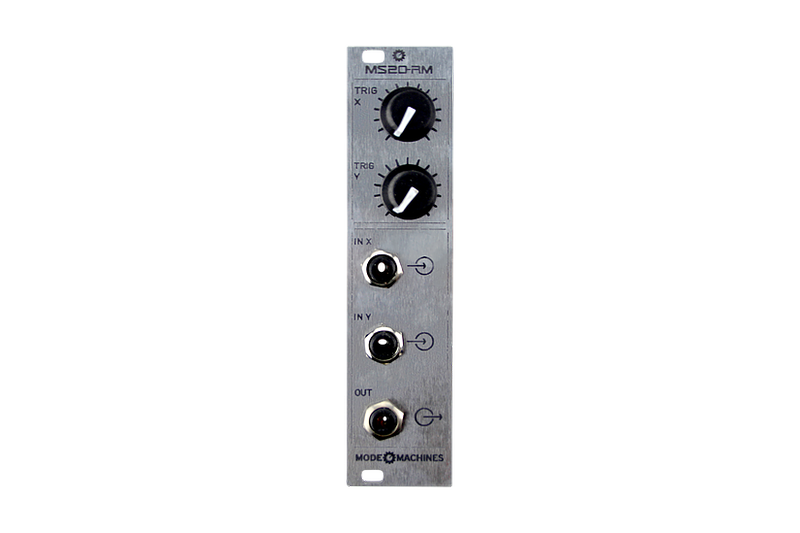 The MS20-RM is a digital ring modulator based on the MS-20 ring modulator. 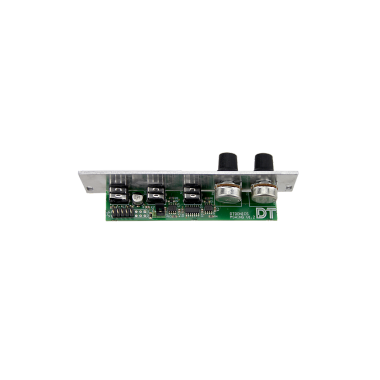 The trigger levels of X and Y can be set between 0V and 12V or -12 and +12V. 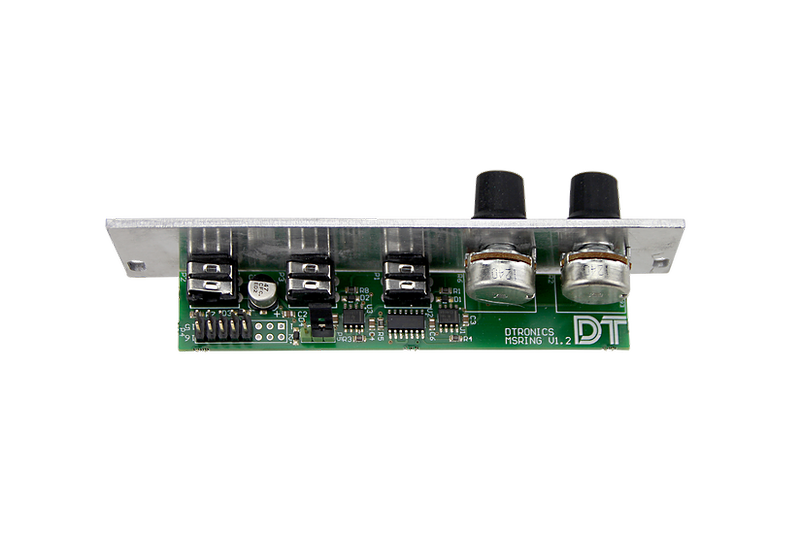 The module is only 6HP wide (30mm) and 30mm deep.